Be careful who you throw your milkshake at when in MacDonald’s. Well, actually, you don’t have to be too careful. Just don’t go to MacDonald’s and throw your milkshake at absolutely giant people. That shouldn’t be too hard. And of course, you know we got you with an uncensored version. For the purists. 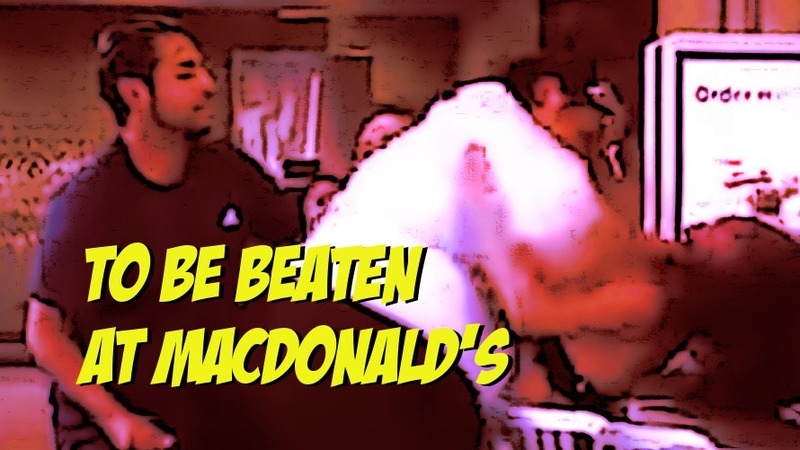 There ain’t no weightclasses in the streets, and no commissioners in a Mickey D’s seating area. She’s lucky a bystander finally summoned enough courage to end this horrific beating. Please people, I beg you. Start respecting the MacDonald’s milkshake, for your own safety.